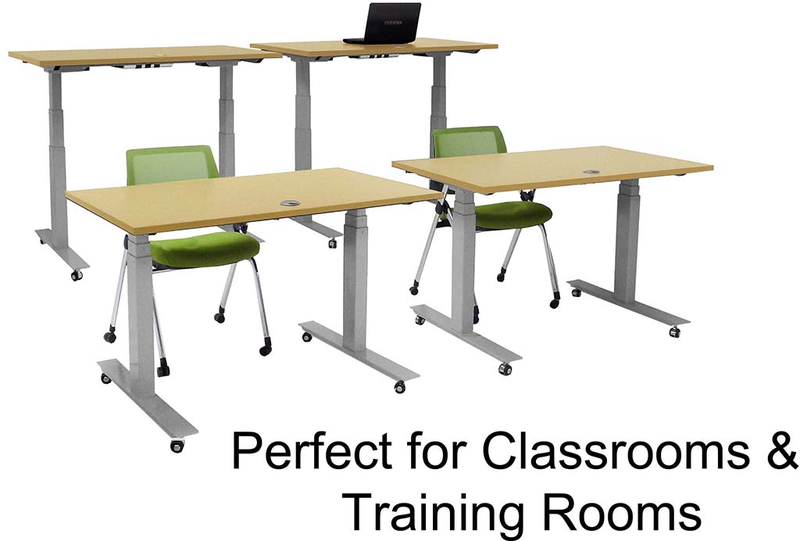 Our Mobile Electric Lift Height Adjustable Tables are most commonly used as a portable office desk, a mobile computer workstation or as a height adjustable classroom table. 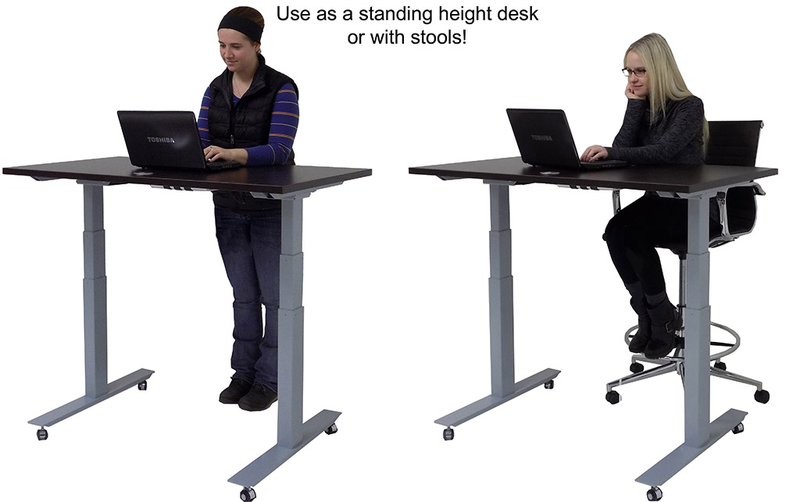 Perfect for the ever-changing office that frequently sets up/rearranges temporary workstations. 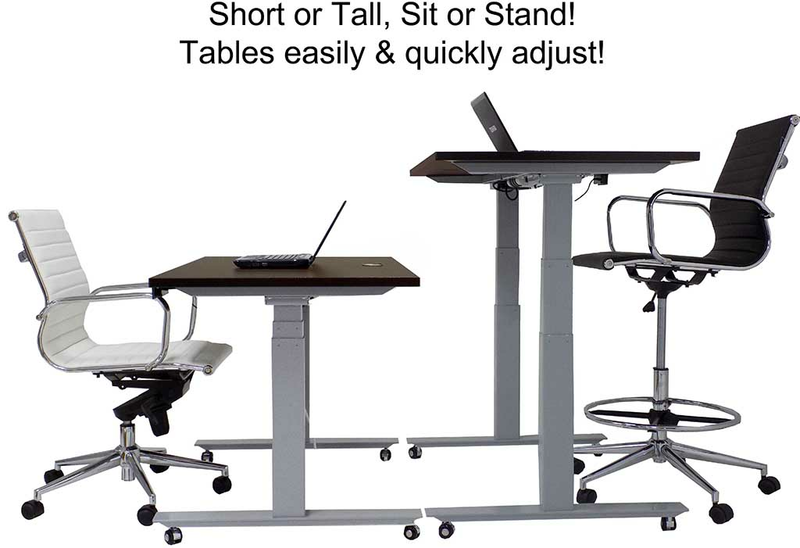 Tables easily height adjust from 25-1/2"H � 51-1/2"H with just a push of a button! In stock in many stylish laminate colors. PRICE INCLUDES SHIPPING! 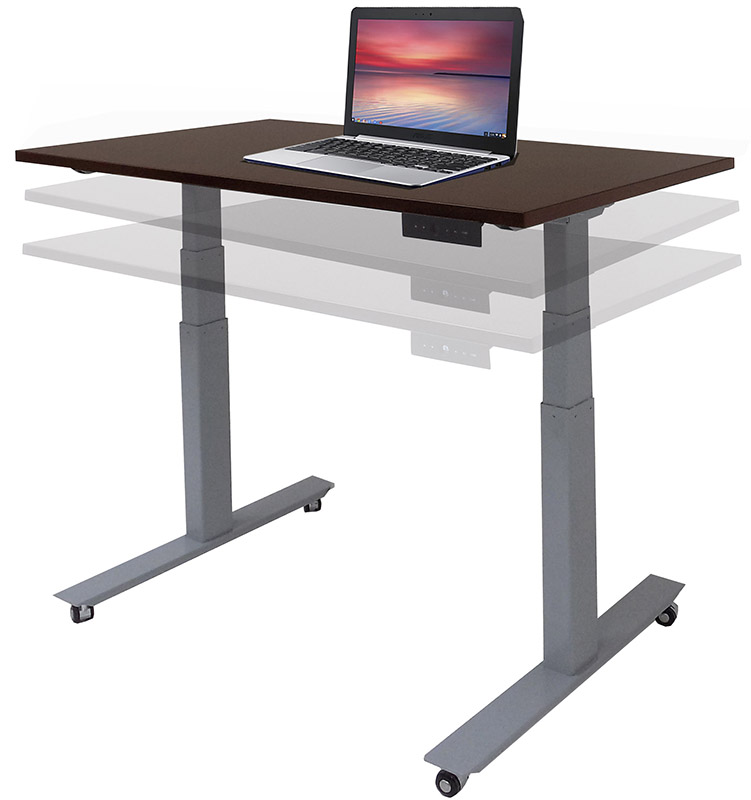 48"W x 24"D Mobile Electric Lift Height Adjustable Table sold above. See other sizes below. 48"W x 24"D Table ships unassembled. Includes one grommet for wire management. Weighted 24" deep base for stable footing. Shipping weight 139 lbs. PRICE INCLUDES SHIPPING! (Truck shipment - see Terms & Conditions). IN STOCK! 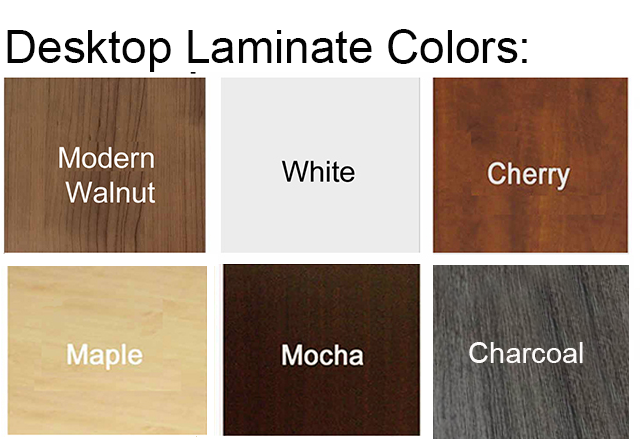 * Durable 1" thick laminated table top with matching edge banding. Grommets included! * 265 pound lift capacity! * Two synchronized lifting columns and motors for stable, even lifting. * Heavy silver steel weighted base weighs a full 98 lbs. for an incredibly solid, stable feel! * Nearly silent super mute motors. * 1.2" per second lift speed. * Top of base height range of 25-1/2" to 51-1/2" high. 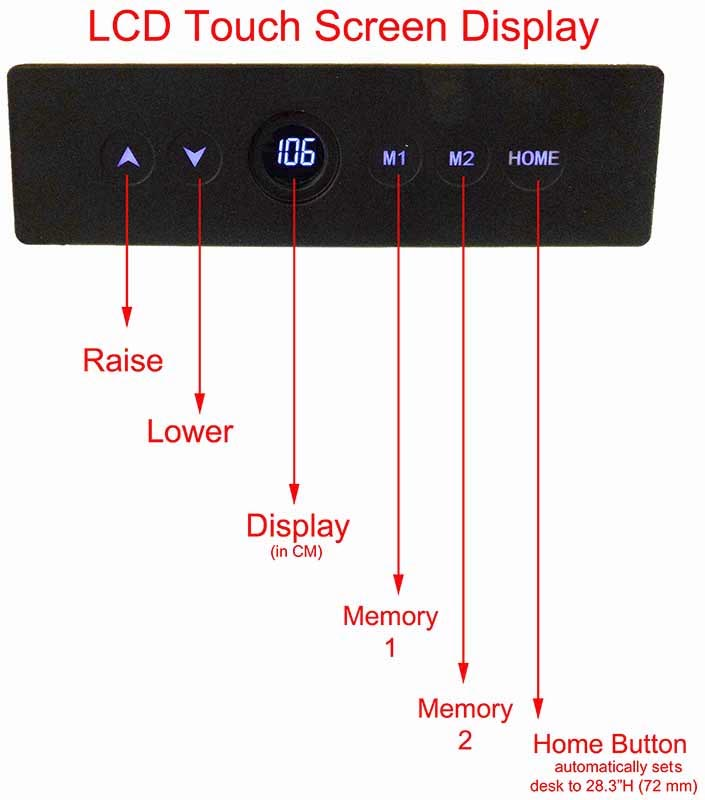 * LCD touch screen display with 2 position memory. Mounts in any position along desk top edge with two screws provided. * Safety stop if table encounters obstacle. * Includes cable ties and additional fittings for neat cable management. * Optional steel modesty panels available for tables 60�W and up. 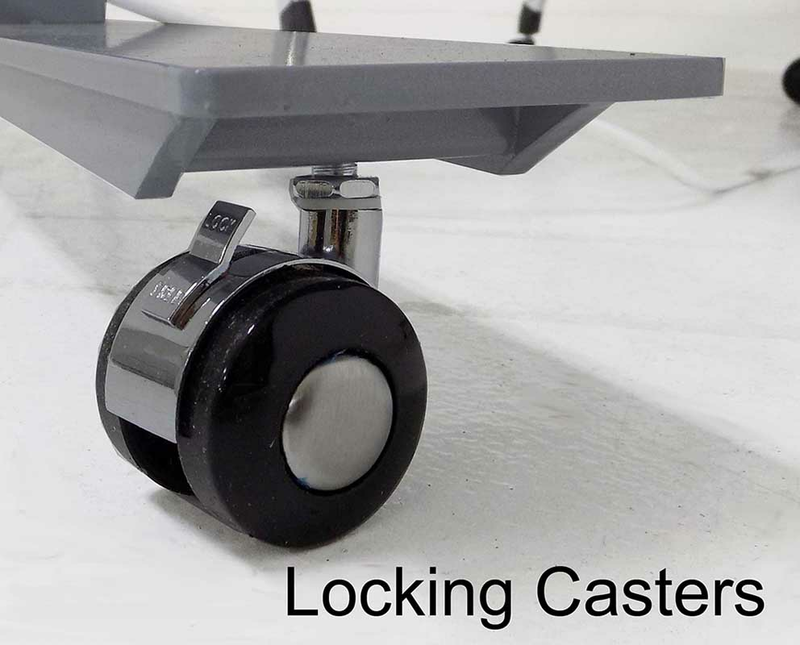 * 4 locking casters for easy mobility. * 5-year warranty on table top. 1-year warranty on electrical components. 1 - 3 $849.00 ea. 4 - 9 $799.00 ea. 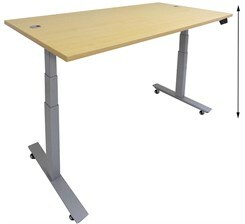 Top measures 60"W x 24"D. Includes two grommets for wire management. Weighted 24" deep base for stable footing. Includes 4 locking casters. Adjusts from 24-1/2" to 50-1/2" high. Ships unassembled. Shipping weight 148 lbs. PRICE INCLUDES SHIPPING! (Truck shipment - see Terms & Conditions). IN STOCK! 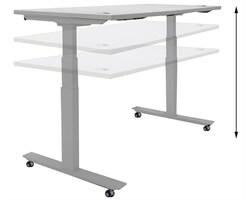 Top measures 60"W x 28"D. Includes two grommets for wire management. Weighted 24" deep base for stable footing. Includes 4 locking casters. Adjusts from 24-1/2" to 50-1/2" high. Ships unassembled. Shipping weight 150 lbs. PRICE INCLUDES SHIPPING! (Truck shipment - see Terms & Conditions). IN STOCK! 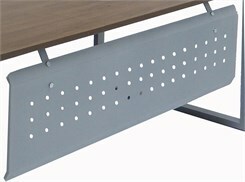 Top measures 66"W x 30"D. Includes two grommets for wire management. Weighted 24" deep base for stable footing. Includes 4 locking casters. Adjusts from 24-1/2" to 50-1/2" high. Ships unassembled. Shipping weight 155 lbs. PRICE INCLUDES SHIPPING! (Truck shipment - see Terms & Conditions). IN STOCK! 1 - 3 $899.00 ea. 4 - 9 $849.00 ea. 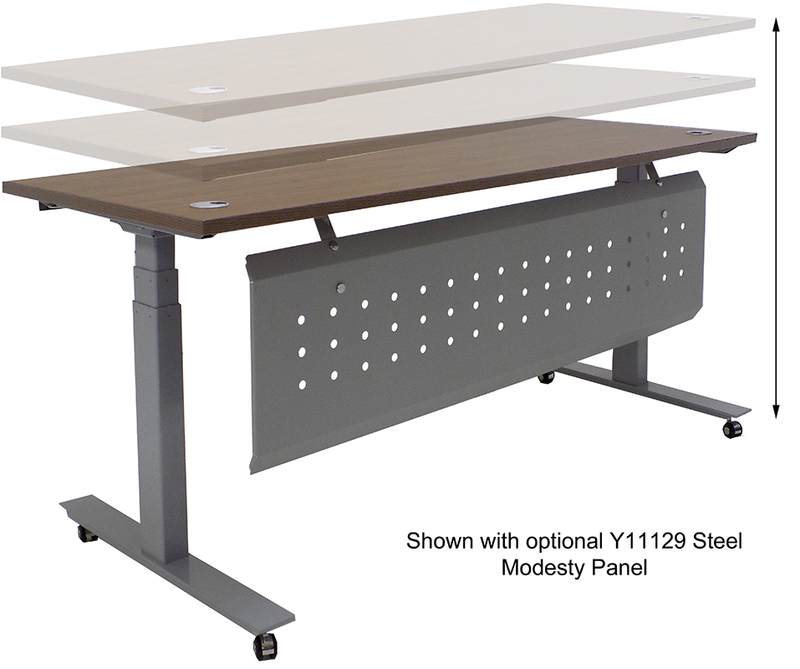 Shown with optional Y11129 Steel Modesty Panel. Sold Separately. 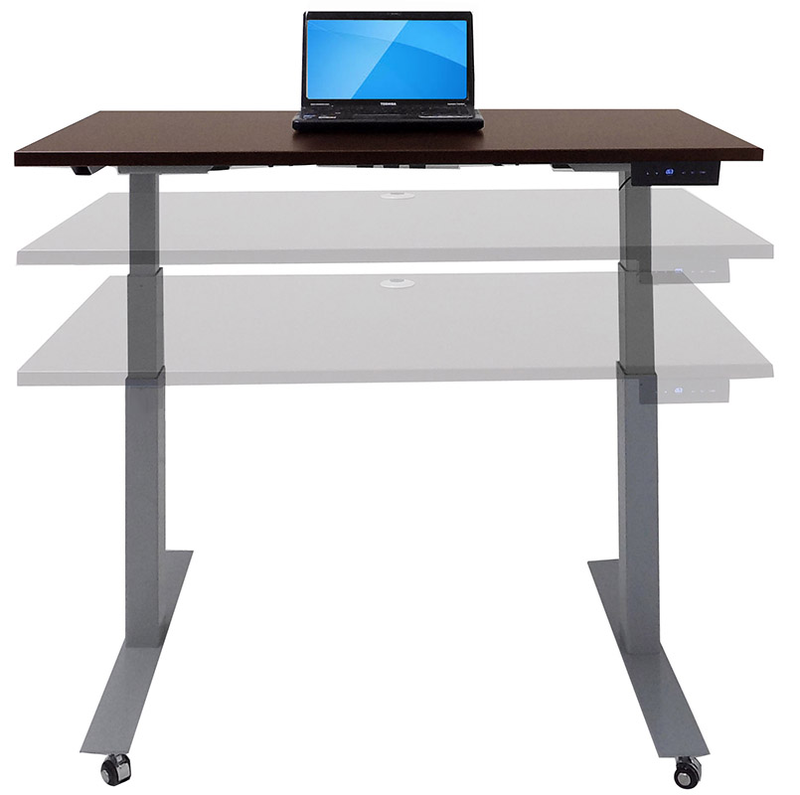 Top measures 72"W x 28"D. Includes two grommets for wire management. Weighted 24" deep base for stable footing. Includes 4 locking casters. Adjusts from 24-1/2" to 50-1/2" high. Ships unassembled. Shipping weight 159 lbs. PRICE INCLUDES SHIPPING! (Truck shipment - see Terms & Conditions). IN STOCK! 1 - 3 $949.00 ea. 4 - 9 $899.00 ea. 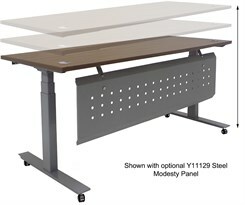 Top measures 72"W x 36"D. Includes two grommets for wire management. Weighted 24" deep base for stable footing. 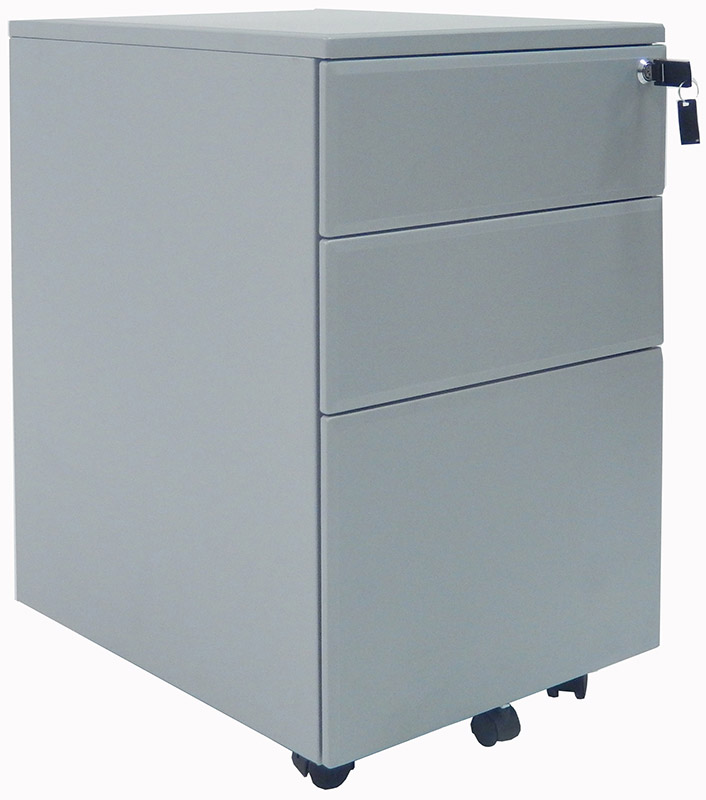 Includes 4 locking casters. Adjusts from 24-1/2" to 50-1/2" high. Ships unassembled. Shipping weight 176 lbs. (Truck shipment - see Terms & Conditions). PRICE INCLUDES SHIPPING! IN STOCK!